The winter whale watching season is upon us! 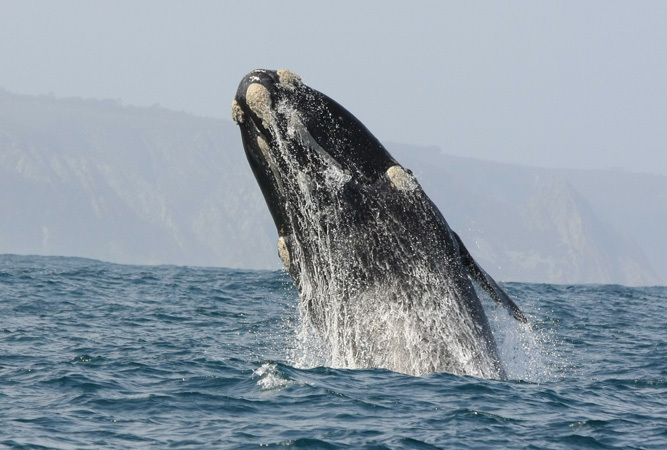 From early July until October every year the Southern Right Whale makes the Cape shoreline of South Africa its nursery. Whales come to warmer waters (from the icy waters further north) to mate, give birth and nurse their young. Whilst you can catch a glimpse of them all the way from the West Coast up to Storms River Mouth, the best part of the coastline to spot them is known as the Cape Whale Coast. 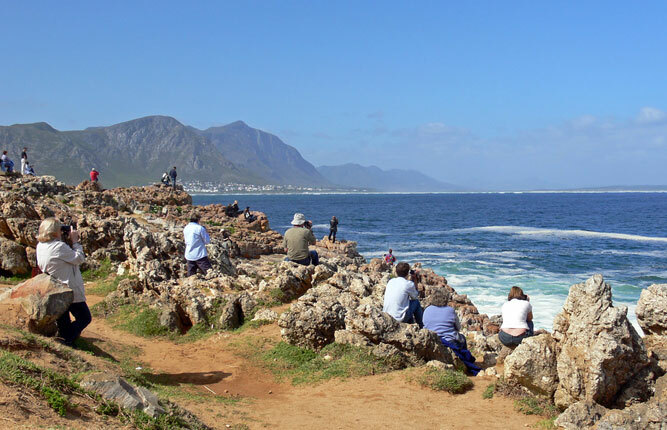 This centres on Walker Bay in the Overberg (also known as the ‘heart of the whale coast’) with whale viewing spots between Rooi Els (on the eastern edge of False Bay) and Die Dam in Hermanus. 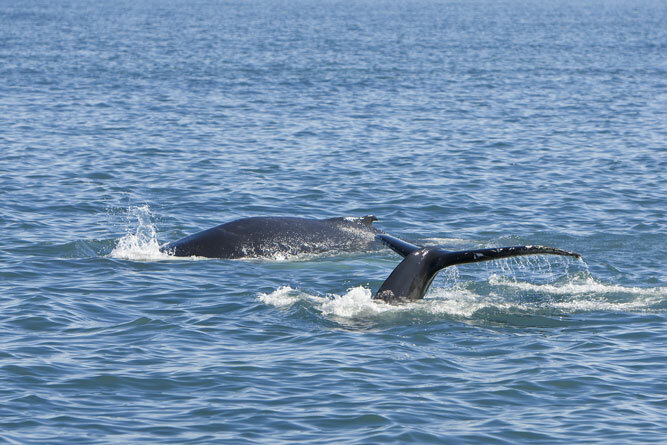 The waters between Hermanus and Pearly Beach (Walker Bay) attract hundreds of whales annually, which is why Walker Bay is listed in the top 12 whale viewing locations in the world by WWF. 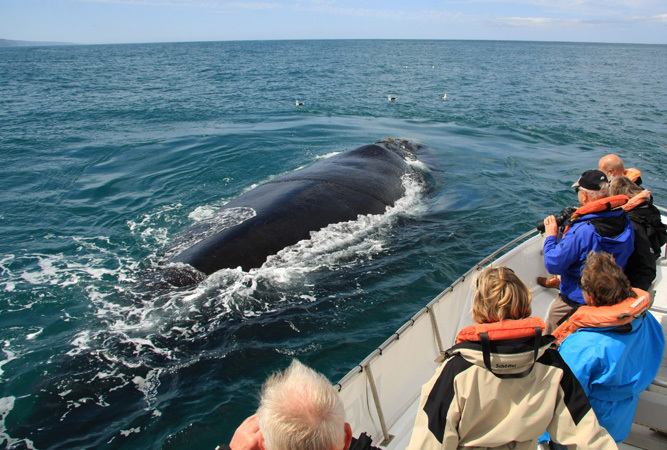 Hermanus boasts the best landbased whale watching from its cliffsides, but De Kelders, and Gansbaai (great for boat-based whale watching) give it a run for its money. Expect crowds. San Sebastian Bay – De Hoop Nature Reserve and Witsand and Infant – boasts the largest gathering of right whale cow-calf pairs in the world, and easily rivals Walker Bay when it comes to sheer numbers. 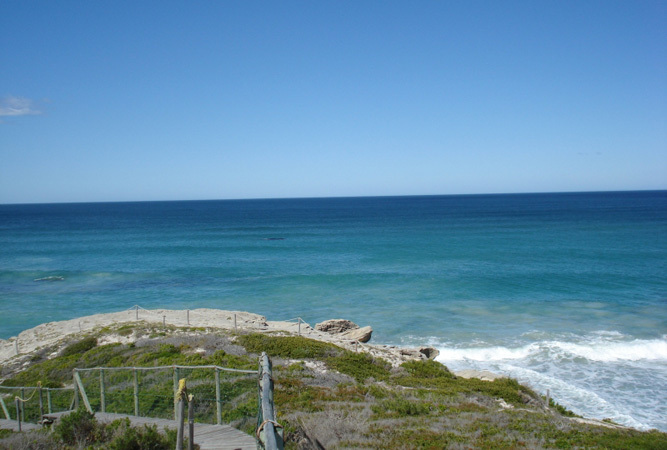 De Hoop’s beaches are the hidden secret of the whale season and the shore-based whale watching is excellent (if you like your whale watching without the crowds, then head here). Struisbaai and Cape Agulhas are excellent bets as well. Those white patches out to sea that could be sea horses, except the wind isn’t blowing. These are usually indicative of waves breaking over the whales. Keep watching and you’re sure to see a fin break water sooner rather than later. Giant splashes out of the corner of your eye are whales breaching. 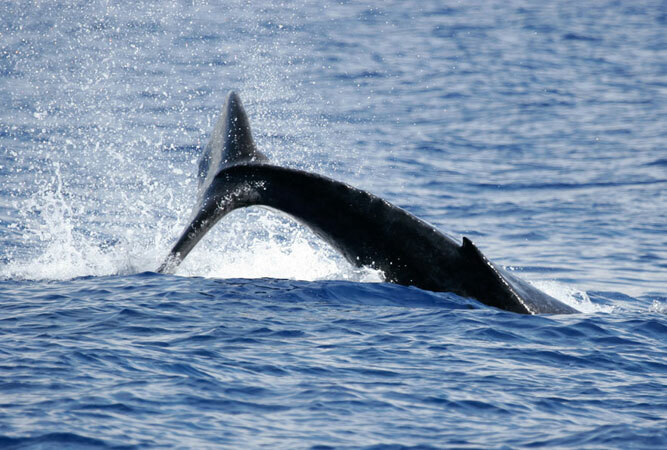 And look out for lobtailing (tail vertically out of the water), fluking (the tail appears just before a dive), spyhopping (lifting a head out to have a look around), blowing (water out of one of two blowholes), spouting or logging (more difficult to see as the fins and tail are submerged). Hermanus boasts the only whale crier in the world (you will know him by the odd looking feather in his cap, board around his neck and kelp horn; his name is Eric Davalah) and the blasts he keeps giving indicate the number of whales spotted and where along the coastline. Or you could just read the board around his neck. Binoculars, a sun hat, sunscreen, patience (whales are wild creatures; they don’t perform to schedule and you may sit for an entire morning on a bench waiting for a whale to show itself). 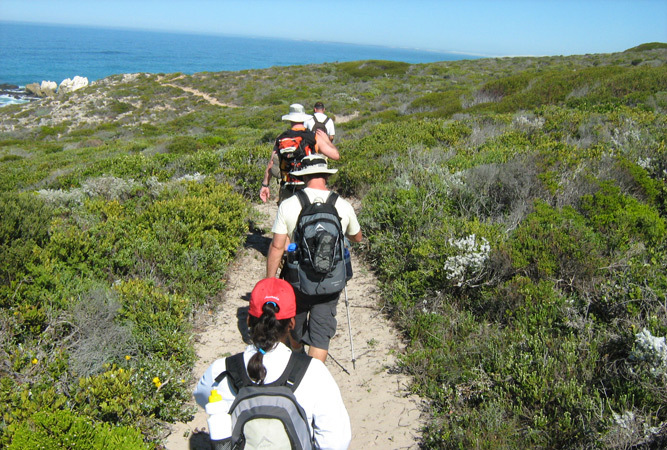 The Whale Trail – this iconic 5-day trail in De Hoop is booked up way in advance. Hermanus, Gansbaai, Witsand, De Hoop Nature Reserve. Small boats are worse for sea sickness, but better for sightings. Larger boats are smoother, if the weather’s good. Swings and roundabouts. It really depends on the day, the weather and the whales. Some people rave about their boat-based whale sighting, exclaiming at how close to the boats the whales come and how wonderful seeing them is, whilst others bemoan the lack of whales and the seasickness. Not. Anyone worth his salt offering whale watching is going to do his utmost to know where the whales are and to give you the best possible sighting. However, the whales are not paid to perform. If you can’t handle the back seat during car rides, or end up with the paper bag on your lap during take off and landings, then chances are you’re prone to seasickness. Take something before, rather than during the trip. You won’t feel more seasick if you’ve just had a meal. Infact, the opposite is true. You’re likely to feel ill if you haven’t had any food. Legally, boats in South Africa are only allowed within 50 metres of the whales and only for 25 minutes. Although sometimes whales defy all odds and swim right up to you, for curiosity’s sake. Despite the short time spent with the whales (legally 25 minutes), your time on the boat can clock up to two hours (getting there and back). The temperature of the water is icy at this time of year and the combination of sea spray and wind will make it feel even colder. Wrap up! Hooded tops, windbreakers, beanies, gloves and even a lightweight blanket. 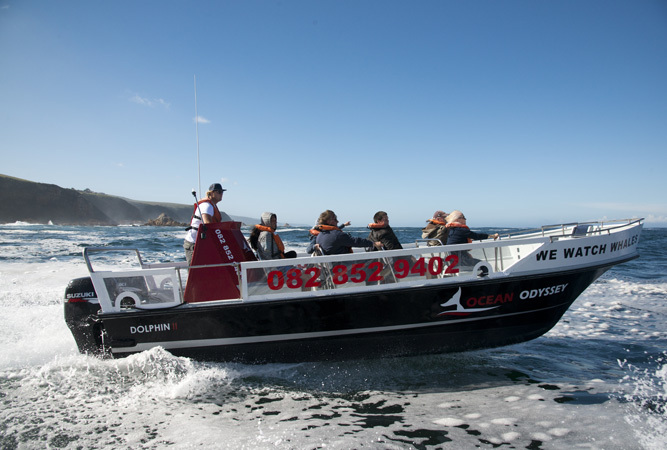 Don’t expect to arrive in Gansbaai and simply get on the next boat out. You will need to book ahead. If you’re waiting to gauge the weather, then phone first thing – there are no guarantees that you will get a same-day boat, but you can try. Arrival involves ticket collection and time to get on board. 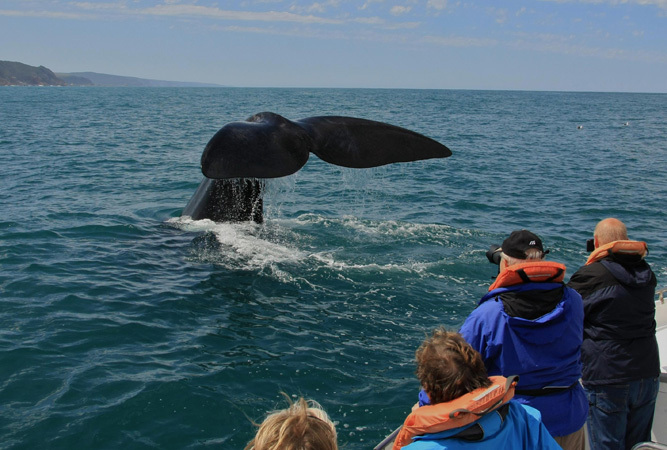 You want to allow plenty of time to do this, not only for a good seat, but because whale watching is an incredible experience and you don’t want to ruin it with a frenzied start. Binoculars, rubbersoled shoes, snack, warm clothes, sunscreen, sunglasses, camera (the jury is out on the value of cameras, as so often one misses the ‘moment’ focusing through a lens elsewhere), patience (sometimes the whales just aren’t interested). If you have a list of expectations, chances are none of them will be met. Sometimes you just won’t spot any whales. But if you’re on the look out there are seals, sharks and dolphins in these waters.